With Kris Palmer on flute, Steve Lin on guitar, and Isaac Pastor-Chermak on cello, Black Cedar creates, discovers, and re-imagines works for this uniquely rare combination. Along with the recent release of their debut album, "A Path Less Trod," the trio’s accolades include grants from the Zellerbach Family Foundation and the San Francisco Friends of Chamber Music, plus an invite to the National Flute Association Convention. Black Cedar’s commissions include "Miscellaneous Music" in 2015 by Bay Area composer Durwynne Hsieh, and "Of Emblems" in 2014 by San Francisco’s Garrett Shatzer. In less than three years of existence Black Cedar has performed almost 50 concerts throughout Northern California, and they have performed live on KALW 91.7 FM in San Francisco, KKUP 91.5 FM in San Jose, and KWMR 90.5 FM in Marin County. “Hats off to them!” writes the Santa Cruz Sentinel. 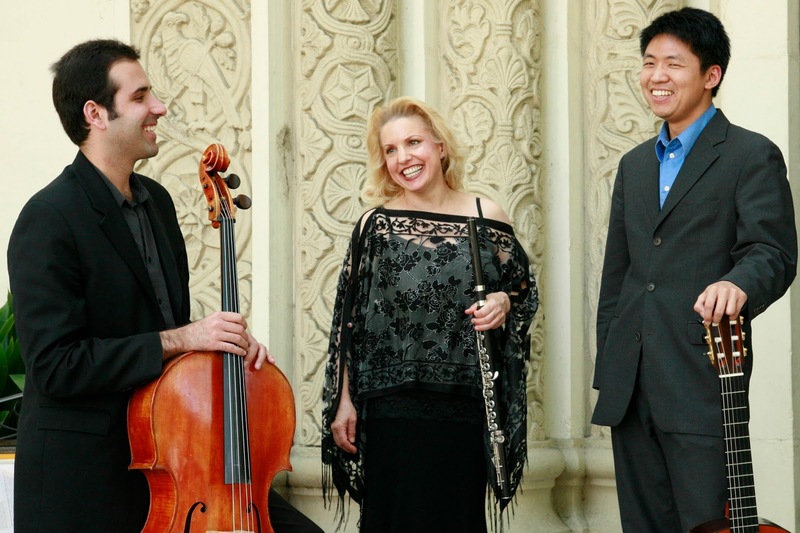 “Black Cedar has done a wonderful job of making the case that chamber music can involve approaches to instrumentation not usually expected,” says the San Francisco Examiner.